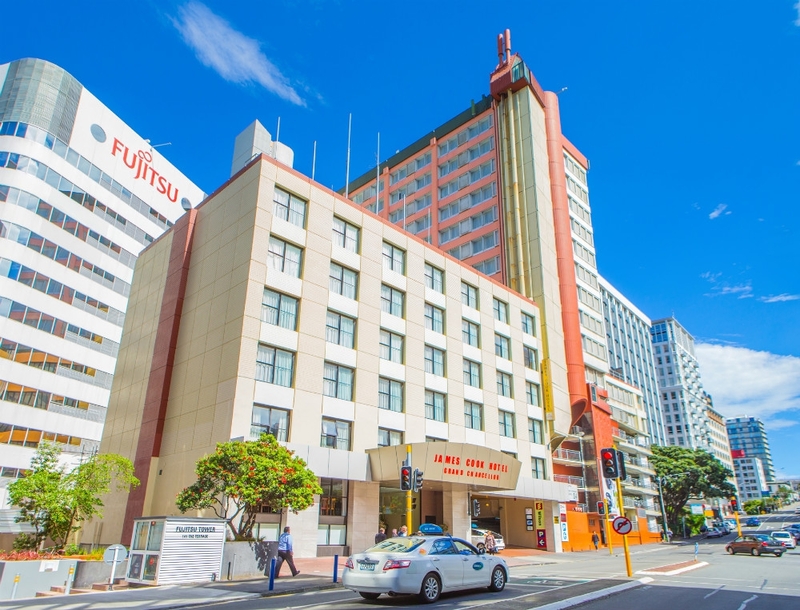 A modern high rise hotel with a Qualmark 4.5 star rating, The James Cook Grand Hotel Chancellor is ideally situated between Wellington's business and retail districts. The hotel's choice location makes it the perfect choice for business and leisure travelers. There are 268 rooms, an iconic restaurant and bar, full gym facilities, and an entire floor dedicated to hosting conferences and events. The hotel's 8 state-of-the-art conference & meeting facilities offer some of Wellington's finest event venues. Capacity is set at 240 theatre style, and the entire 16th floor is available to rent for some types of events. Guests also have the opportunity to pick up their usual workout routines at the hotel's top line gym facilities. Every modern fitness equipment you could possibly need has been provided. And when you're finished with your workout you can unwind in Bodyhaven Spa with a range of treatment options.